Find a summer camp in Nassau and Suffolk counties that offers lunch for kids. 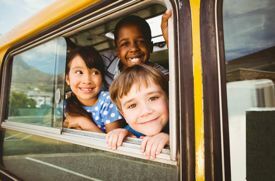 We all know getting out the door in the morning during the school year takes a lot of coordinating, with backpacks, briefcases, and after-school activity gear—and adding a brownbag lunch to the morning chaos is at the bottom of some of our lists. And that chaos doesn’t go away in the summer when we’re trying to get the kids out the door for summer camp, so why not look for a summer day camp on Long Island that offers lunch options every day for campers? 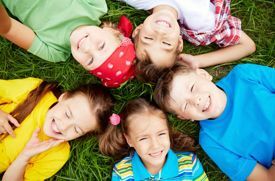 We’ve compiled a list of summer camps in Nassau and Suffolk counties that offer lunch options, including camps located in Old Westbury, Manorhaven, New Hyde Park, Roslyn Heights, Mill Neck, Brookville, Hicksville, Farmingdale, Patchogue, Mount Sinai, Smithtown, Middle Island, Medford, Miller Place, and St. James. Campers are provided Glatt Kosher and nut free lunches and snacks. Substitutions and cold options are always available. We are very allergy friendly and can accommodate your child's individual needs. Hot lunch served daily with a side dish. Salad bar, bagels, plain pasta, and sandwiches daily as well. We also cater to different dietary needs. Daily snacks provided. We are a peanut, tree nut, sesame and fish aware campus. We do not allow any outside food on campus. Our lunch program has four daily options Monday-Thursday catered by Sequa Deli. All orders must be pre-ordered. Fridays campers and staff enjoy free pizza provided by a local pizzeria. All campers enjoy daily Kosher and nut-free hot lunch with salad and pasta bar and vegetarian and gluten free alternatives. We offer a delicious dairy, kosher lunch each day as well as a morning and afternoon snack. Children may also opt to bring food from home. We offer lunch three days-a-week, which is included in our daily/weekly rate. Campers bring a bag lunch on the trip days (Tuesday/Wednesday) and everyday of week six and seven when we travel each and every day. Hot lunch is available for Monday and Tuesday with choices being chicken fingers, grilled cheese, turkey sandwich, mozzarella sticks. Campers can bring their own lunch if they want. Every Wednesday is pasta lunch every Thursday is pizza lunch and Fridays are bbq lunch all served with cookies and juice. 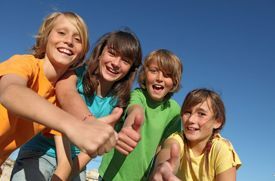 If your child is participating in more than one camp program on the same day, a supervised lunch will be available for children attending both the morning and afternoon camps. Bring a bagged lunch. Campers eat with their group and counselors in our large shaded food pavilion. Our optional hot lunch is prepared professionally, keeping our campers’ nutritional interests in mind. We have Gluten Free options, peanut sensitive, and will assist with any special dietary needs. Cold lunches from home are refrigerated. Our all-inclusive program includes a lunch for every camper. We offer hot meal choices, plain pasta, sandwich bar, salad bar, fresh fruit, and snack on a daily basis. We are well equipped to handle picky eaters and any food allergies! FSCamps provide hot and cold lunch options in air-conditioned cafeteria through partnership with Chartwells Dining Services. Food allergies and dietary requirements can be accommodated. FSCamps offer hot and cold lunch options in air-conditioned cafeteria through partnership with Aramark Dining Services. Food allergies and Dietary requirements can be accommodated. FSCamps offer hot and cold lunch options in air-conditioned cafeteria through partnership with on-campus Dining Services. Food allergies and Dietary requirements can be accommodated. The West Hills Day Camp lunch program is second-to-none. With multiple fresh, healthy choices every day and the ability to order lunches ahead of time, kids are always happy and never hungry at West Hills! Lunch is included in the cost of tuition. We meet all dietary needs—Gluten-free, Vegan, Kosher. Peanut allergy aware. A healthy lunch is served at one of our premier dining facilities and includes a full buffet/salad bar, entrée and veggie of the day, and a full sandwich bar. Plus, we offer treats such as brownies, bagels, and French fries. Included with registration are a wide selection of kids favorite sandwiches, bagels, chicken nuggets, snacks, and drinks. We even have a barbecue on Wednesdays with hamburgers and hot dogs fresh off the grill, plus, pizza every Friday! And... since it's summer, ice cream or ices every afternoon is a must! A catered meal everyday for our campers including hot and cold options with a nutritious balance. All allergies are taken into consideration. We have been told before, we have some of the best camp food on LI! Golf on the course each day with our golf professionals. Lunch is provided during full day camp for all camp golfers. Lunch offered at all full-day camp locations. Prepared at each golf course's country club restaurant. Flexible choices and very allergy sensitive. All come with soft drinks. The kids love our lunches. We offer a well balance nutritious lunch menu on a rotating schedule, in addition to daily snacks. All are included. Please call for more information. Lunch is available and is included in the fee at Oasis at LIU Post. We serve quality hot food that kids love with a vegetable, fruit, and water. Whether under a shady tree or air-conditioning inside, campers have the chance to mingle with campers from other groups and eat with their counselors.Our lunches include a hot entree and side, fruit, bottled water and a fresh baked dessert. Campers eat with their group and counselors in our large shaded food pavilion. Our optional hot lunch is prepared professionally keeping our campers’ nutritional interests in mind. We have Gluten Free options, peanut sensitive and will assist with any special dietary needs. Cold lunches from home are refrigerated. Lunch is included in programming. Made to order deli sandwiches, fruit, yogurt, bagels, and weekly barbecue and pizza. Healthy snacks are also included. We supply Pizza lunch and juice from Fuscilli pizzaria every Friday! Students may pack a snack on all other days. Lunch and afternoon snack are included in camp tuition. We are a nut free camp and accommodate most food allergies. Call 631-462-9800 for more information or go to syjcc.org. Daily Kosher hot lunch is included in camp tuition. You can opt out of daily lunch for a reduced fee. Menus are available on our website. New for 2019! We provide parents the option to purchase daily, nutritious lunch for campers from a selection of menu options to satisfy even the pickiest eaters, for an additional cost. Visit: https://ymcali.org/camp?utm_source=LI+Parent+Camp+Guide&utm_medium=Web+Camp+LP&utm_campaign=Camp for more information. Lunch is offered for a nominal fee. Campers have choice of an entree, two snacks, and a beverage. All brought in from off-site vendors. Parents may provide their own lunch or pay for our lunch program, which is brought in by outside restaurants.